A motorcycle that is properly cleaned and maintained will not only look better, it will be protected against rust and corrosion, oxidation and other damage caused by exposure to the elements. 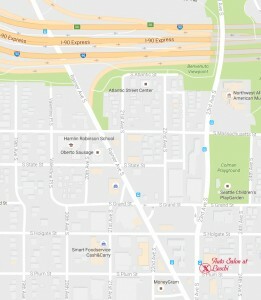 Auto Salon at Leschi offers the best motorcycle detailing services in the Seattle area with specialized detailing products and techniques our customers have come to trust. Due to the open structure of the motorcycle, the engine, exhaust pipes, wheels and frames are exposed to harsh road conditions. 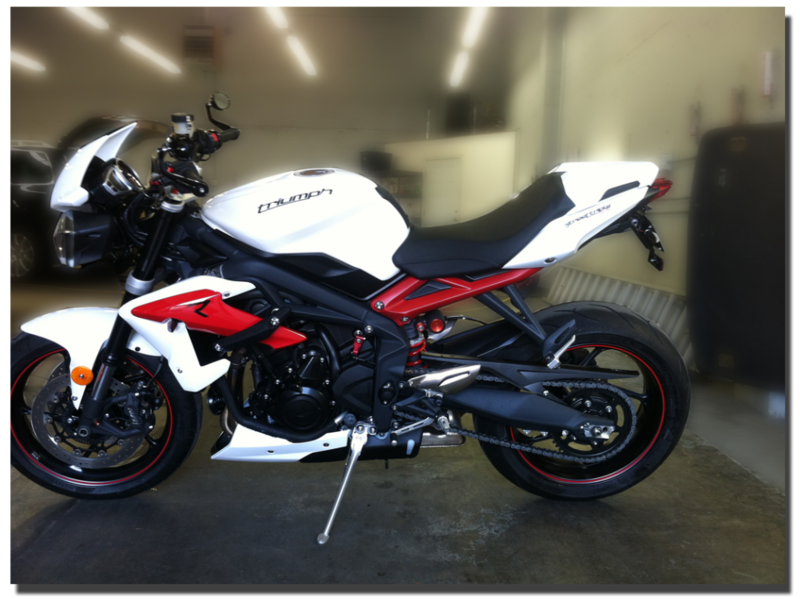 Motorcycle detailing demands exceptional attention and specialized skills. Paintwork, chrome, steel and aluminum surfaces, plastic fairings, leather seats and bags have unique cleaning and polishing requirements. While most owners can do a fine job washing their own motorcycles, it takes years of experience with special detailing techniques to be able to bring a motorcycle to showroom condition and maintain that perfect look all year round. The owner, Jeff Gopal, has been a motorcycle enthusiast for the past 25 years. He has owned several bikes and knows how to clean them properly. 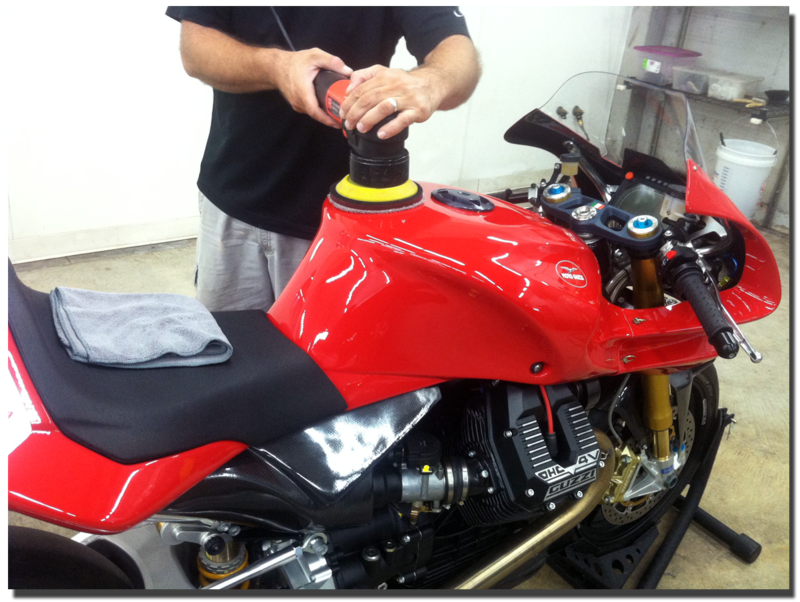 Over the years he has developed extensive technical knowledge of detailing techniques and has studied and tested several exotic cleaning and polishing compounds, waxes and paint sealants in order to use only the finest products on our customers’ motorcycles. 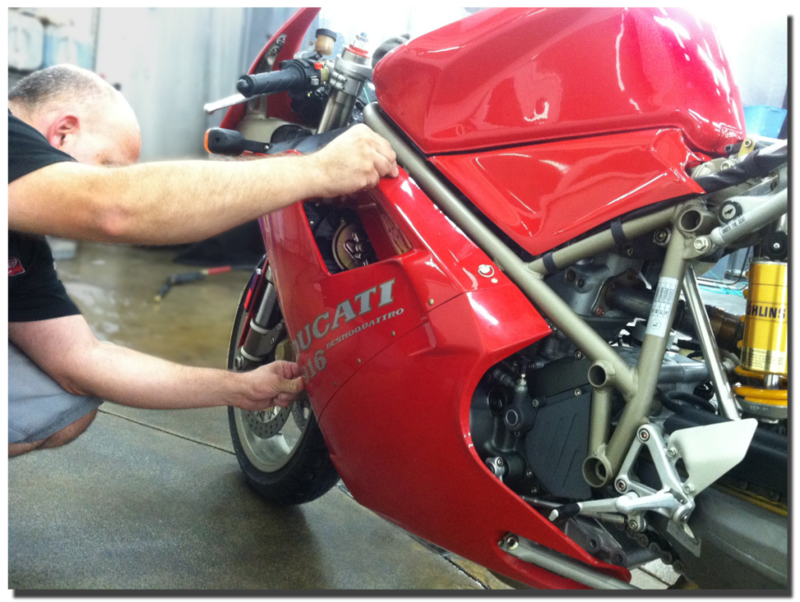 Prepping a Ducati – every area of the bike is cleaned. 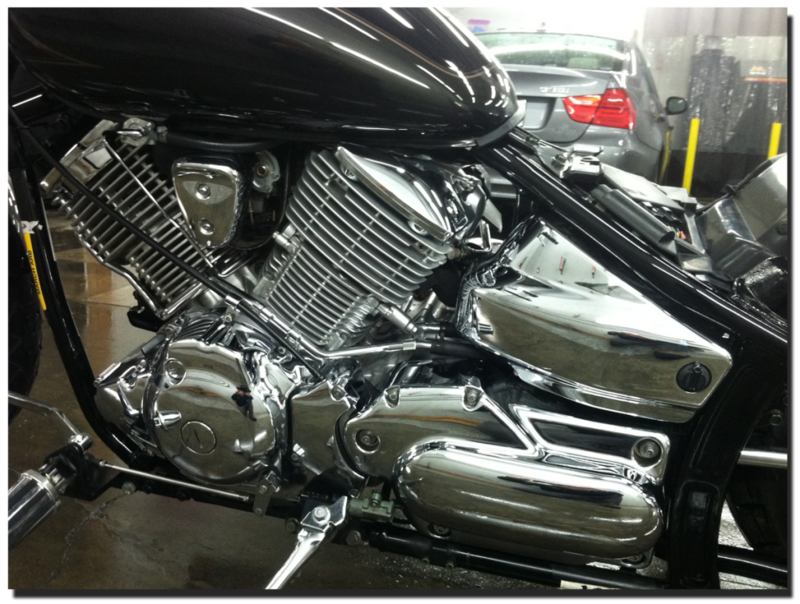 We work on any type of motorcycle including Sport bikes, Harleys, Cruisers, Dual Sport, Trail, & Vintage. Paying attention to the little details. Call to get your bike detailed today !